Planning permission has been obtained for the redevelopment. A recently acquired investment will be redeveloped to provide a retail park of approximately 51,500 sq ft together with a new industrial facility of 20,000 sq ft. The retail element benefits from an open A1 consent and currently arranged in 6 units although at this stage the configuration can be altered. The current layout plan shows the consented scheme for retail & industrial uses. The scheme is prominently situated on the traffic light junction of Cranes Farm Road and Miles Gray Road on the Pipps Hill industrial area. The site is very well served by public transport and Basildon town centre & railways station are within 1 mile. 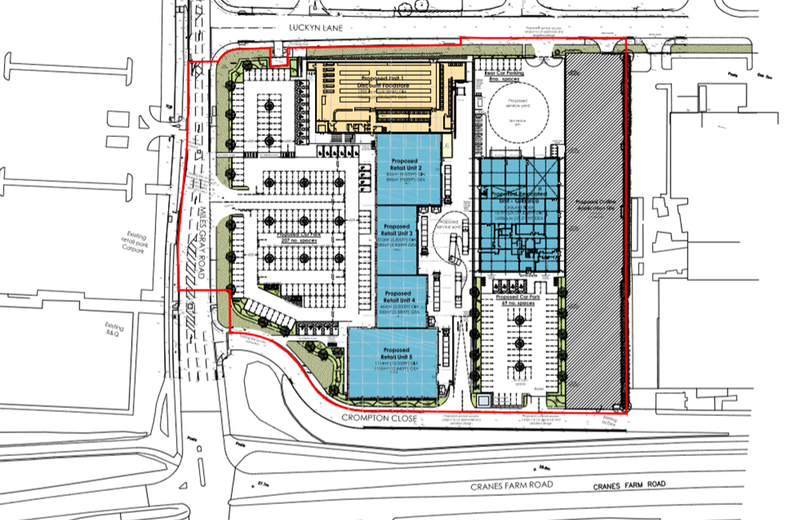 The site is opposite the Pipps Hill Retail park accommodating many national retailers including B&Q and Asda.